I honestly don’t remember. I’ve always written. Mostly short stories throughout school and an attempt to write a television script. My girlfriends and I were obsessed with Charlie’s Angels and we decided the three of us would be Charlie’s Little Angels. We needed a script to go along with it so I volunteered to write it. I remember it involved a prison break. I have no idea how that came about. Maybe that’s what interested me in writing to begin with, an overactive imagination that needed some kind out outlet. I love the small-town charm of cozy mysteries and the intrigue of small-town life. The secrets that are kept from neighbors, the indiscretions not talked about and the fact that most everyone knows everyone else. Add in a strong protagonist who is determined to see that justice is served regardless of what she has to go up against, and I’m in the book. Cozies deliver all the conflict and tension and suspense I’m looking for in a book along with engaging characters that I want to visit with over and over again. I’d been reading cozy mysteries, mostly culinary cozy mysteries, for years after discovering Katherine Hall Page in a local bookstore. 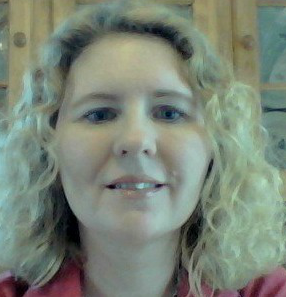 I was drawn to the genre and I’d wanted to write a book, so I decided to write a cozy mystery. I sent the manuscript to agents and was promptly and rightfully rejected. By that time I’d joined a local writing group and started work on a few romantic suspense manuscripts but in 2015 after completing several manuscripts something just didn’t feel right. So I brainstormed a series idea which became the Food Blogger Mystery series and in 2016 I sent the manuscript out to query agents and I got one and in November 2016 I sold the Food Blogger mystery series to Kensington and in the fall of 2017 I sold the Resale Boutique Mystery series to Kensington. I’m so grateful readers are choosing to read one of my books when they have so many options so I hope they will have an enjoyable reading experience. I also hope readers will be inspired that no matter how many times Kelly is told not to do something or that she can’t do something, she does it because it’s important to her. We all hit roadblocks throughout our lives and sometimes we forget that we can go around them and achieve whatever we want to. Kelly doesn’t give up. Sure there are times she’s tempted but she fights for what she wants and for what she believes in. I know I can’t change the world through my books but if I can encourage one person to go for their dreams, then I’m very happy. Writing the end. Seriously, it is because that means I’ve written a novel and being able to do that is an incredible achievement that I wish everyone could experience. Balancing all of the responsibilities that come along with writing. In addition to writing the books, authors juggle numerous other tasks that involve managing a small business from writing newsletters to maintaining social media accounts. While writing is the most important thing I can do as a writer, all of the other work I have to do can be challenging at time because there’s only so much time in a day. I’m always striving to improve my time management skills. Be patient. It’s a long-game. Be professional. Publishing is a small world and you want to maintain good relationships. Be present. Once you’re published, your debut novel releases, things move so fast. Make sure to enjoy the whole experience. I read mysteries, from psychological thrillers to suspense to procedurals. I also read romance and women’s fiction. I was a former food blogger. That’s how I came up with Hope’s career in the Food Blogger mystery series. 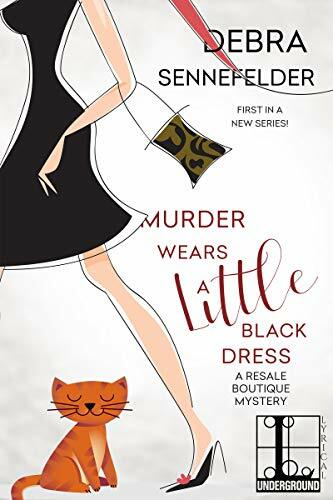 I majored in my hobby in college, fashion buying and merchandising so I used that experience to help create Kelly in the Resale Boutique mystery series. For six years I worked as an emergency medical technician in New York City before moving to Connecticut. My most favorite food is New York pizza, I’m a coffee lover and like Kelly I love a good fashion magazine. I have a website where I blog where I regularly blog and have info on my books as well as a sign-up form for a newsletter subscription. I’m also on Facebook and Instagram.